HSBC Personal Loan – How to Apply? Having a personal loan comes in handy for a variety of needs. Whether you are planning to purchase a new car, improve your home or simply consolidating your debt, a personal loan has got all of your needs covered. If a personal loan is what you need, the HSBC Personal Loan is one of the best offers on the market. Aside from choosing your flexible payment terms, you can also receive preferential loan rates! To know more about this sweet deal, keep on reading. One of the distinguishing features of the HSBC Personal Loan is its flexible payment options. For one, you can choose from getting a fixed or variable interest rate options, 1 to 5-year terms, payment options. The payment options range from weekly, bi-weekly, or monthly choices. Another advantage you will surely appreciate is being offered a competitive interest rate. 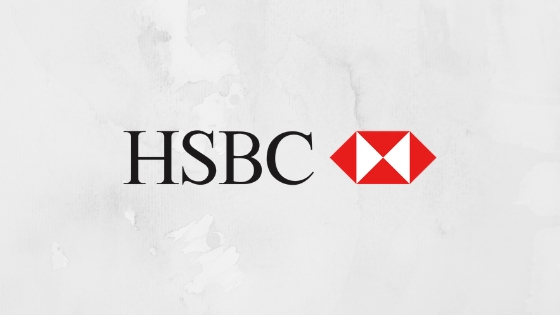 If you are an HSBC Premier or HSBC Advance customer, you have the chance to receive exclusive preferential rates that will help lower your expenses and monthly payments in the long run. There is also a Loan Payments Calculator available on site. With this feature, you can help determine your monthly loan payments that are easy on the wallet. And last but certainly not the least, you can use your HSBC Personal Loan for a variety of purposes. Aside from purchasing a car, you can also use your loan to fund home renovations, consolidate or paying your higher rate debts, take a vacation, paying for your education, or preparing for your children’s education. Whatever your reason for borrowing may be, HSBC is the answer to all your needs. Requesting the HSBC Personal Loan is now more convenient. Besides visiting a branch near you, you can also apply online and fill out the form on the HSBC website. To be eligible, you need to at least 18 or 19 years, or the age of majority in your province of residence. Likewise, you must also be a Canadian resident. Some of the information and documents you need to have on hand include your personal details and your gross annual income (pre-tax). You will also need to provide your credit report and standing to HSBC. If you are applying for a joint loan, your co-applicant must also complete the application. The HSBC Loan Calculator allows you to determine your loan payment. For a loan payment, you are asked to select a fixed term loan. Interest rates vary depending on your credit score. For example, a loan amount of $20,000 with an interest rate of 7.5% and a payment term of 48 months has a total ending balance of $16,699.76. You will need to pay $200 per month when you choose a payment option of paying only 1% of the whole balance. If you are interested in getting a personal loan that has a flexible payment option and affordable rates, check out the HSBC Personal Loan today. RBC Personal Loan – How to Apply? Fast Access Financial Personal Loans – How to Apply?